It’s certainly a hot sticky one out there, I’m not complaining either. I hear people all the time say they don’t like this heat only to complain as soon as cooler weather has returned. Not that it’s exciting but we got our new truck oil sprayed today. Hopefully it will make it last that much longer! Our air con is still not working so the recipies for this week will probably be nice fresh cool salads. 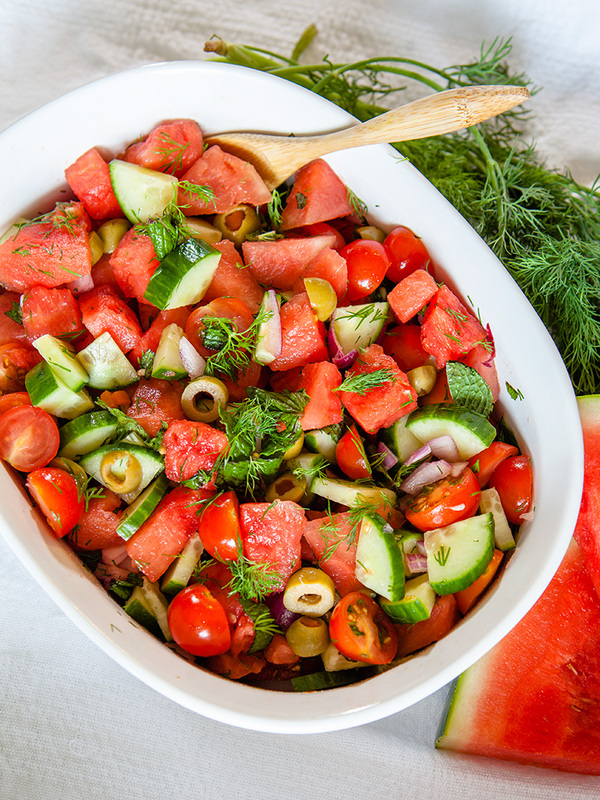 What’s more refreshing on a hot day than a nice watermelon and tomato salad? There’s no way we are turning that oven on when it’s 34C out there, and in here! We are putting of fixing the furnace (air con) until the fall. 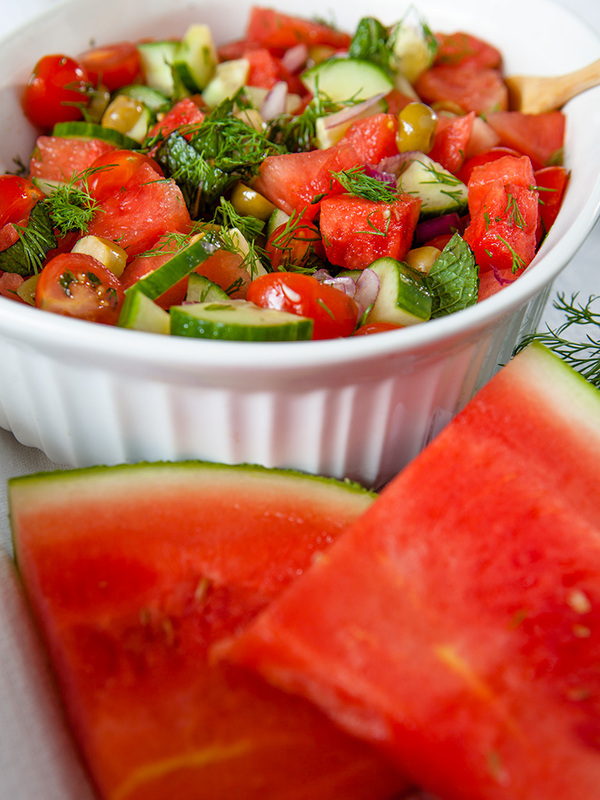 Having cool refreshing salads on hot muggy days just seems right! Especially when it’s delicious succulent watermelon! These salads really don’t take that much effort and are nice and appetizing on these hot days. It’s also got olives in it which makes the salty and sweetness mesh together. 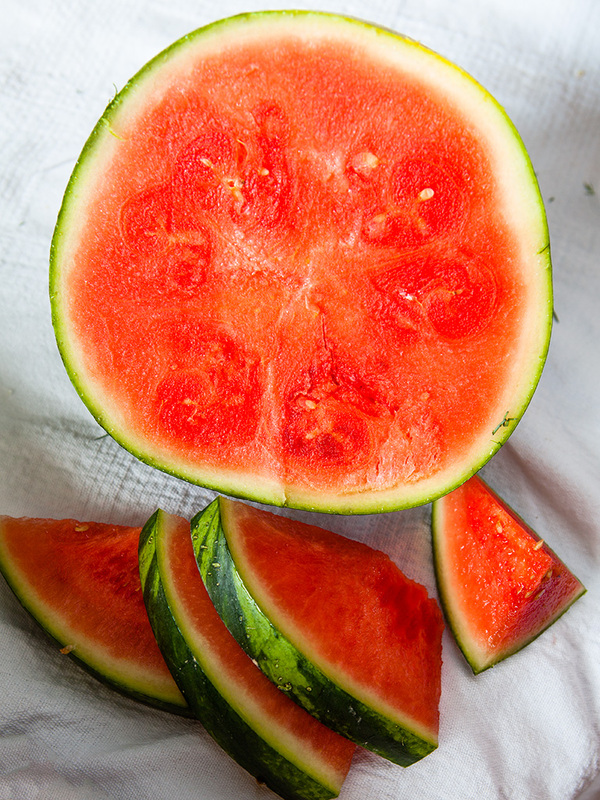 Leftover watermelon is also a great treat on days like this to keep the body hydrated. 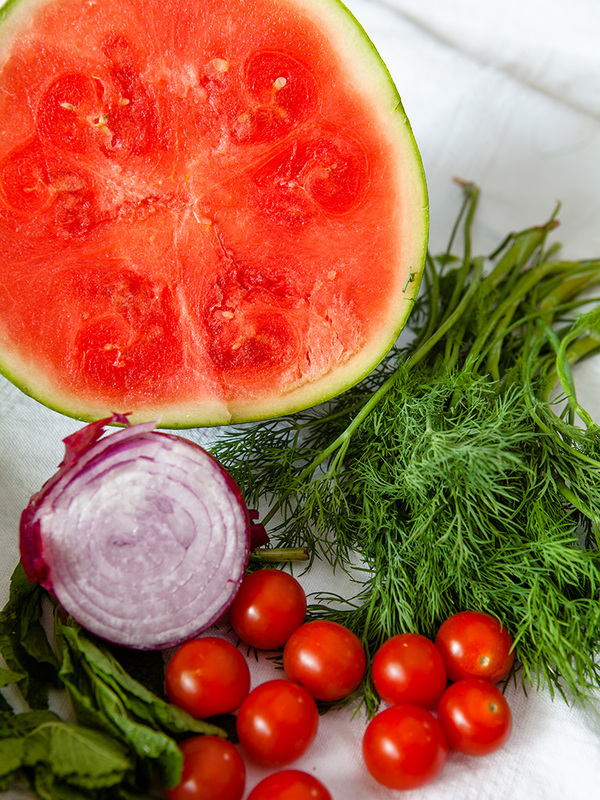 Place the first 5 ingredients in a salad bowl. Mix together in the bowl. 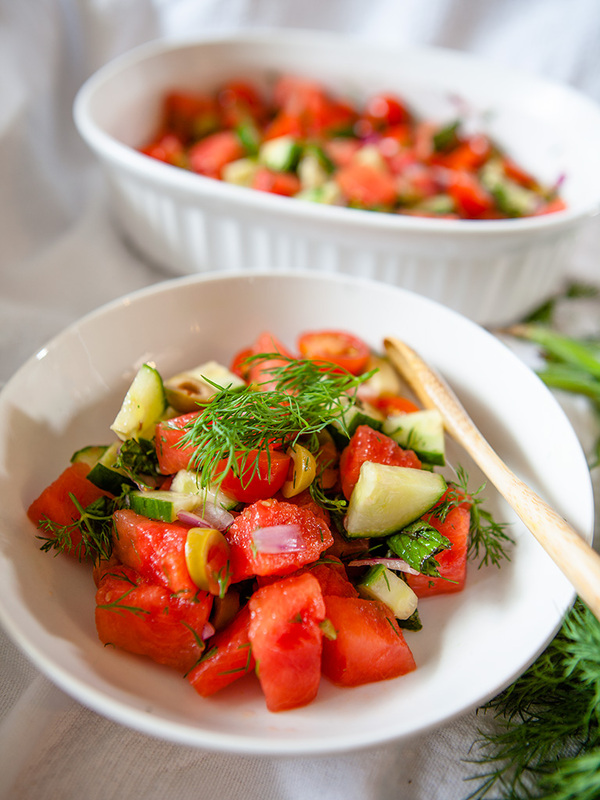 In a small mason jar put the dill, mint, oil and vinegar. Put on lid and give a gentle shake to mix. Pour over salad and toss together. Let the salad sit for at least 15 minutes in fridge before serving.